Webhosting service of ours. In the beginning we only intended this to serve our webdev/design cliens, but it grew and grew ... and grew. Kovinc d.o.o. 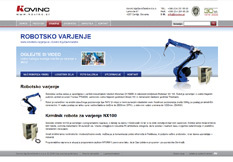 is a manufacturing company with over 35-year tradition in metal machining. 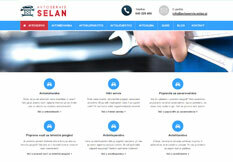 The company offers high quality products and services at competitive prices. Car service / workshop with unbeatable prices and great customer service. Family owned milk farm specialized in high quality, home made dairy products with over 20 years of tradition. Carpentry & Roofing Jerkovič is dedicated to high quality and eco-friendly facades. Roofing is also one of their core activites with 30+ years of experience. 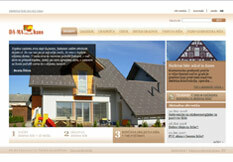 Spletno gostovanje Prasicek is a webhosting service with user-experience and price efficiency in mind. They also have a 1-click installer for most popular web applications. Jenko Construction's core activity is high quality ceramic tiling and mosaic tiling. 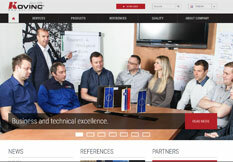 Now they are also sporting a brand new website! A complete offer of metal remodelling services, the possibility of installing the final products and protecting the metal's surface layers. 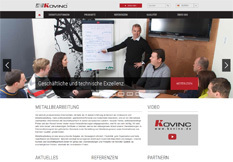 Kovinc d.o.o. established a new, fully automated robotic welding workstation. Check the mini-website for more information. Need a house? That doesn't waste energy and still looks nice and modern? 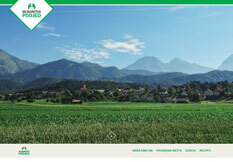 Click away to Dama-Haus.si website that we made!